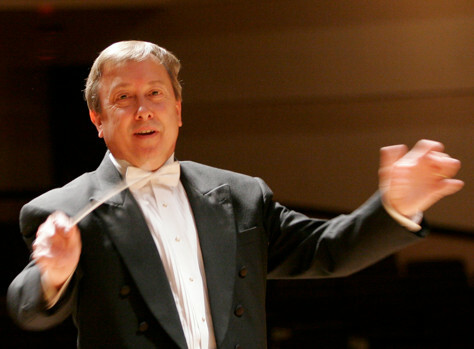 During his tenure as conductor of the Great Falls Symphony, Gordon Johnson has been known for his energetic performances and dynamic leadership. In addition to his responsibilities in Great Falls, Maestro Johnson maintains a busy schedule having guest conducting orchestras throughout the United States, Canada, England, Japan, Germany and France. In February 2009 Johnson was invited by the United States State Department to conduct an American music program with the National Philharmonic of Moldova. Johnson has served as the music director of the Glacier Symphony (MT) from 1982 to 1997 and later of the Mesa Symphony (AZ) from 1997 to 2005. He served as the director of orchestras at the Red Lodge Music Festival (MT) from 2006 to 2011. Gordon Johnson has been recognized by the League of American Orchestras. the American Society of Composers, Authors and Publishers (ASCAP) and the Carnegie Hall Foundation for his contribution to the musical arts. The State of Minnesota conferred a special commendation to Johnson, on behalf of its citizens, for recognition of his contributions. In addition to the Great Falls Symphony he is conductor of the Great Falls Youth Orchestra where he is directly involved in the training future generations of orchestral musicians. He is past President of the Military Affairs Committee and continues to serve as a member of the Board of Directors. In 2012 he was awarded the Distinguished Patriot Medal by the Department of Military Affairs Adjutant General of the State of Montana. During his many years of concertizing Johnson has served as a sympathetic accompanist to many superb musicians including world renowned artists Yo Yo Ma, Itzhak Perlman, Midori, Sir James Galway, Evelyn Glennie and Joshua Bell. He has collaborated in concert with many of America’s most popular artists including Art Garfunkel, Amy Grant, Trisha Yearwood, Kansas, America, Lee Ann Rimes and Charlie Daniels. Maestro Johnson has been invited to serve on adjudication panels at Arizona State University, the University of Wisconsin, the University of Montana, University of Oregon, Northwestern University and the Conservatoire Cesar Geoffray, Toulon, France. Gordon J. Johnson is currently president of the Conductors Guild, an organization dedicated exclusively to the advancement of the art of conducting and to the artistic and professional needs of conductors.